Ornela Chalk White (PO0300) is a very soft white opaque glass with good opacity. It is less reactive than other whites, and a little more expensive than Effetre White and CiM Peace. 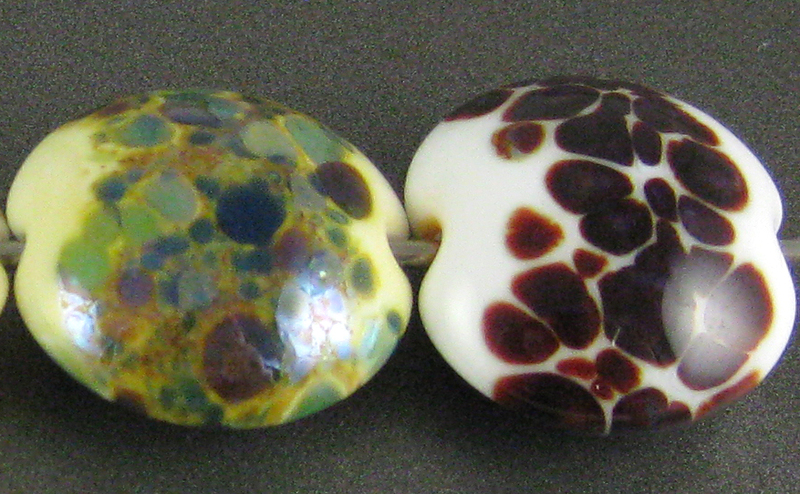 Ornela is also known as 'Czech' glass, as it is manufactured in Czechoslovakia. This is the first Preciosa Ornela glass colour that I've ever used. I had been hesitant to try Ornela because of all of the noise out there about its compatibility, and I guess I am still feeling cautious since this is only one colour, but I don't see anything to be nervous about in this one. 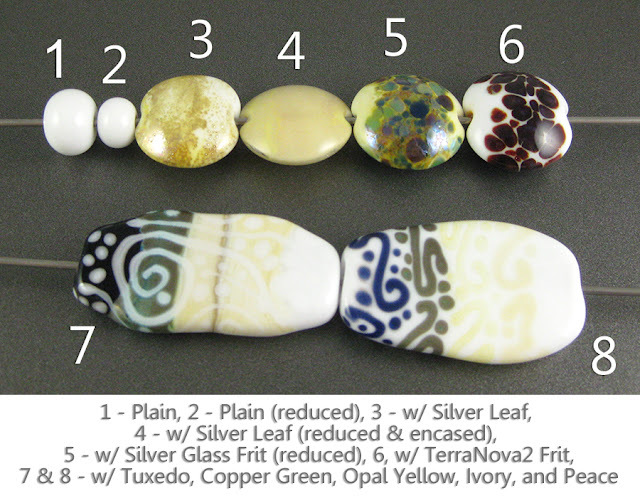 Months after having made these beads, they're still all without flaw. Chalk White doesn't change colour when you reduce it. 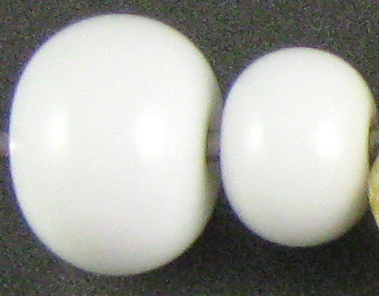 Unlike other white glasses, Chalk White doesn't turn yellow with the addition of silver. 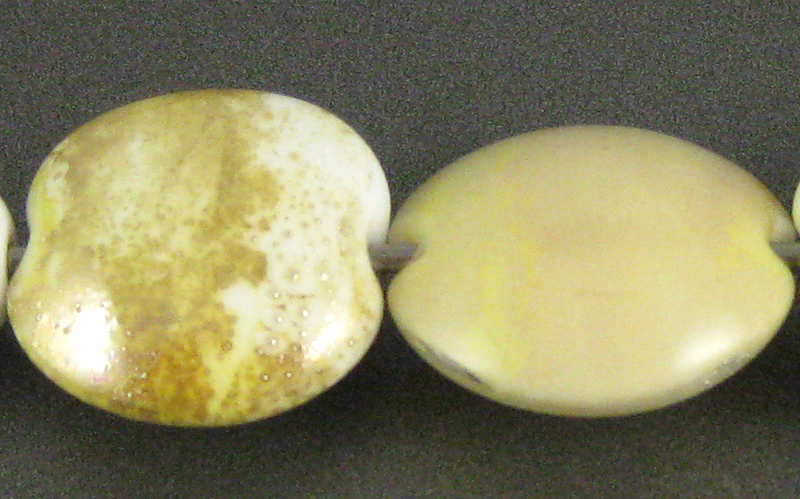 With my reducing silver glass frit, a bit of faint yellow fume appeared, but nothing very substantial. My striking silver glass didn't do much on top of Chalk White. And this picture shows how inert this colour really is. There is a little bit of separation in it on top of Copper Green and Tuxedo, but even that reaction isn't very strong. 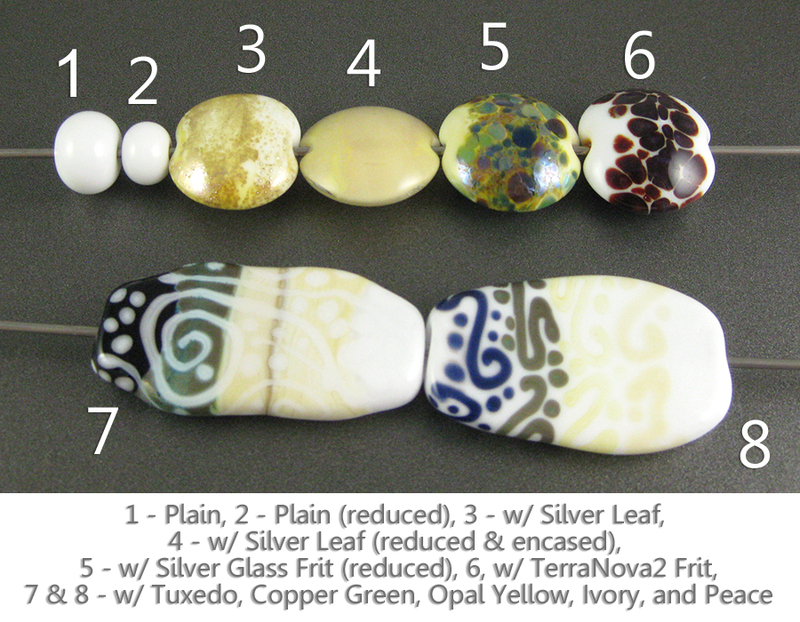 I didn't make any other beads with Chalk White, but I am definitely going to keep it in mind in the future. It will be useful that there is a White that is less reactive.